Jason Brown competes in the men's free skate at the ISU World Team Trophy at Yoyogi National Gymnasium on April 17, 2015 in Tokyo. 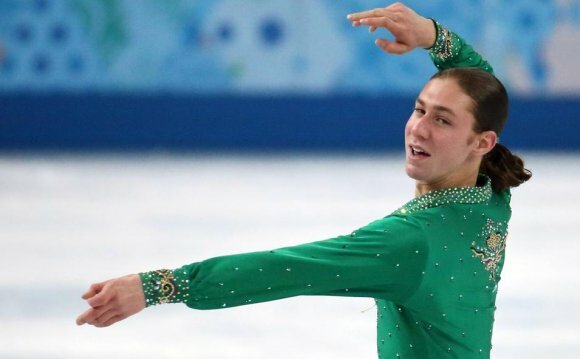 After withdrawing from the 2015 NHK Trophy with a back strain in November, reigning U.S. champion Jason Brown today announced he is withdrawing from the 2016 Prudential U.S. Figure Skating Championships to allow his back more time to heal. Brown had been dealing with a sore back for most of the season, competing in pain as his condition gradually worsened. A week before he left for Japan to compete at NHK Trophy was when it finally became unmanageable. After making the decision to withdraw from the NHK Trophy, Brown took two weeks off the ice to rest and allow his back to “calm down.” As he began feeling healthier, he returned to regular training sessions with the goal of managing the condition through national championships, which take place Jan. 17-24 in St. Paul, Minnesota. But his return proved to be too soon as it quickly became too painful to handle. Brown is currently in physical therapy and, though his doctors are confident he will return to full health with proper recovery time, he is hesitant to put a timetable on what exactly that recovery time will be. Missing U.S. championships not only means that Brown will be unable to defend his title, but also means that he can’t compete for a spot on the world championship team, which is named following the national championships. Brown can, however, petition U.S. Figure Skating for a spot on the team based on his prior performances this season, though he says he’s not currently looking that far ahead. “Right now my main focus is getting healthy so I can be back on the ice, ” Brown said. “As soon as I’m at that 100-percent mark and doctors tell me I can go ahead and get on the ice, I will. And we’ll see what happens from there."